If you're considering a yacht charter vacation in Alaska, chances are you've already been captured by the enchanting visions associated with this remote ands stunning area. The isolation of Alaska and British Columbia, alone, makes it an ideal yacht charter vacation. Most of the coastline, except for that in the north, is inaccessible by road. The nature of a charter yacht vacation is perfectly suited to discovering what Alaska is all about. From the deck of a charter boat, you can intimately encounter the dramatic scenery and the sea life below the icy waters. From the dining saloon, you can watch a full moon rise over a snow-striped mountain. And you can enjoy it all in the lap of luxury. The geography of the Alaskan Inside passage, stretches 1,000 miles from Puget Sound, Washington, to Skagway, Alaska. 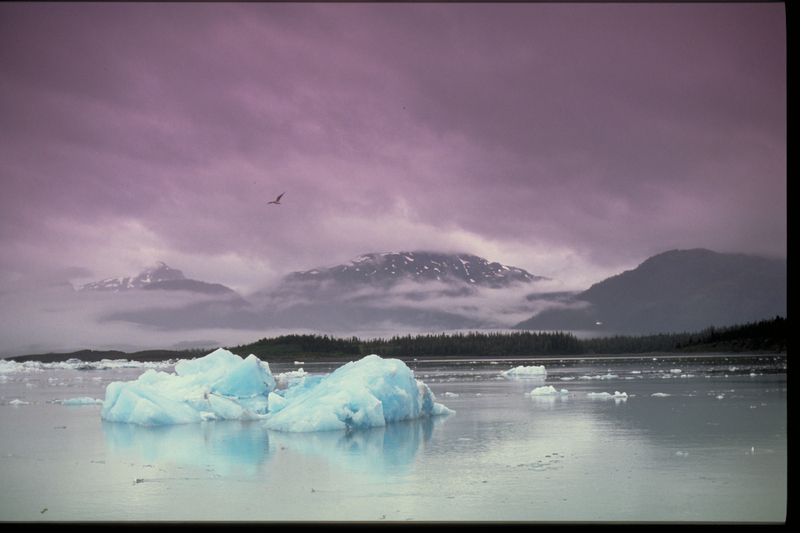 From there, thousands of glaciers line the next 500 miles around the Gulf of Alaska. Among the most famous and visited sites for charter boats are: LeConte outside Petersburg, the southernmost calving glacier in North America, Tongass National Forest, which is the largest national forest in the United States, Admiralty Island with the largest concentration of Brown Bears in the world and Wrangell-St. Elias National Park, a UNESCO World Heritage Site which is the largest national park in the United States. It's difficult to overstate the beauty of Alaska. From your charter boat, you'll see displays of fantastic carving glaciers, reaching incredible heights. Watch the red sun, set on the horizon, at midnight. You can also witness an area rich in wildlife. Brown and black bears forage on the shores. There are so many bald-headed eagles here, that the most avid bird-watcher will be impressed. Over 15 species of whales abide beneath the fridged waters, not to mention sea lines and seals. From the deck of your charter yacht you can fish for steelhead, trout, and salmon. Allow your skipper to negotiate your yacht charter through the unforgettable scenery of Alaska. All you need to worry about is running out of film! 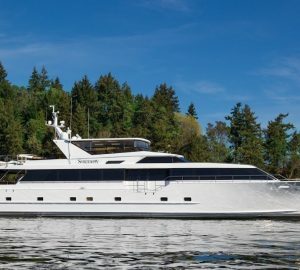 The types of yacht charter available in Alaska and British Columbia include motor, sailing, bareboat charter, skippered, crewed yachts, catamaran, power boat, sailboat, and even the occasional luxury yacht charter. 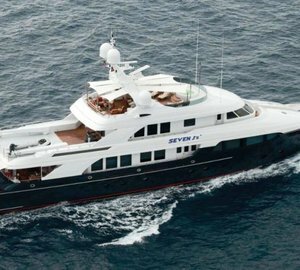 Below is a selection of outstanding ALASKA CHARTER YACHTS, for more information contact us here. Alaska & British Columbia Yacht Charter If you're considering a yacht charter vacation in Alaska, chances are you've already been captured by the enchanting visions associated with this remote ands stunning area. Explore Location Guides for great destinations near Alaska & British Columbia .